Root Reggae Artiste, African, is poised to revive Reggae music in Ghana. The Norway based musician says it is time to put Ghana on the map via Reggae Music. 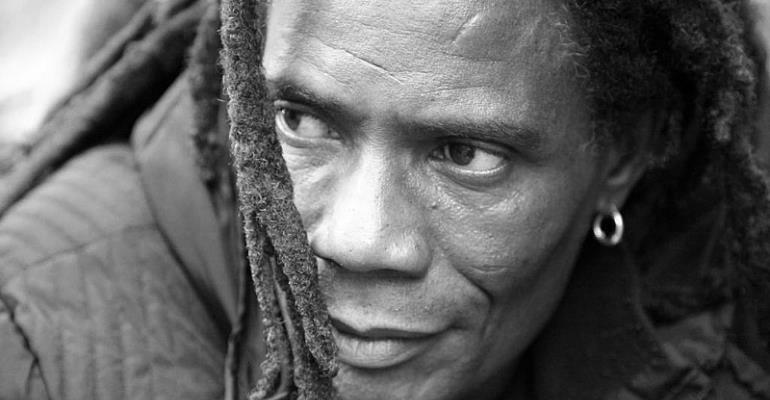 African credits his Reggae prowess to Reggae legend and heavyweight, Joseph Hill, the late lead singer and songwriter for the roots reggae group Culture, most famous for their 1977 hit "Two Sevens Clash", but also well known for their "International Herb" single. He added that, the name ‘African’ was given to him by Joseph Hill, when he visited him in Jamaica. Touching on his path into the music industry, he revealed that he did not start out as a musician initially although he could sing a few reggae songs. However, the zeal to do music became pronounced when His Majesty appeared on a wall and told him not to doubt himself but rather go out and do music. According to him, after his encounter with His Majesty, he decided to set up a band to play in Scandinavian countries to achieve what was revealed to him in his encounter with His Majesty. This he said he did together with two Norwegians, two Ghanaians and a percussionist from Gambia. This he said yielded positive results because after six months, they were adjudged the Scandinavian Band of The Year. The band played together for three years. He stated that by dint of hard work and his good music, he got a record deal with the now defunct EMI Record Label in 1994, which at the time was one of the best record companies in the world to propel his career to greater heights. During his time with EMI Records, he released three smashing singles: Sunshine, Anytime, and Shaky Girl that topped charts in Europe. He added that, he toured Europe and Asia because he had become a household name. However, the marriage between EMI and him hit a snag and had to be abrogated due to change in management at the record label. On why he is in Ghana, he answered that he is a Ghanaian and that after his thirty years sojourn in Europe and acquiring the experience to push Reggae in Ghana, he is ready to share his experience to uplift the image of Ghana. He made it known that he has released three singles, When Jah Jah Call, Light, and Rastafari Side which he believes will set the tone for the turnaround for Ghana Reggae. He added that When Jah Jah Calls is currently enjoying massive airplay and also said the video has been released. On his favourite local Dancehall or Reggae musician, he mentioned Stonebwoy and Shatta Wale. He stated that Stonebwoy does good music and he loves Shatta Wale for his rawness. He declared his readiness to collaborate with Stonebwoy on a song. To his fans, he says he is the Sheriff in town and the real deal. He says they should watch out for groundbreaking and conscious Reggae Music that will project the image of Ghana to the world.